Thank you for joining the Be Inspired Design Team this week. 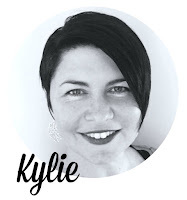 You may be starting here or have come from the wonderful Allison Okamitsu blog. Either way you can hop around all ten designers blogs and BE INSPIRED by what we have to show you tonight. We have a wonderful theme of sending love. One of the special parts about being a card maker is that we can send love anytime we like and really make someones day so much more special! In fact just this week a friend told me that she has a card that I wrote to her eleven years ago. She said the words that were contained were so special to her that she pulls the card out and reads it when she is going through tough times. As she was telling me she was crying and saying they are such special words.... of course at this stage I was crying. How powerful is that - to know that you can make a difference to someone else and encourage them years after you send the card. 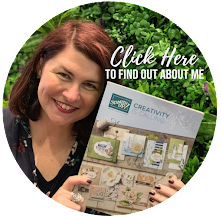 It really helped me to see how important it is to send out cards to family, friends and those in our Stampin' Up!® community. I run a Random Act of Kindness group where we send cards to each other every month. You don't have to take part every month - but many do and we send cards to each other from all around the world. Anyone is welcome to take part as long as they use current Stampin' Up!® products. 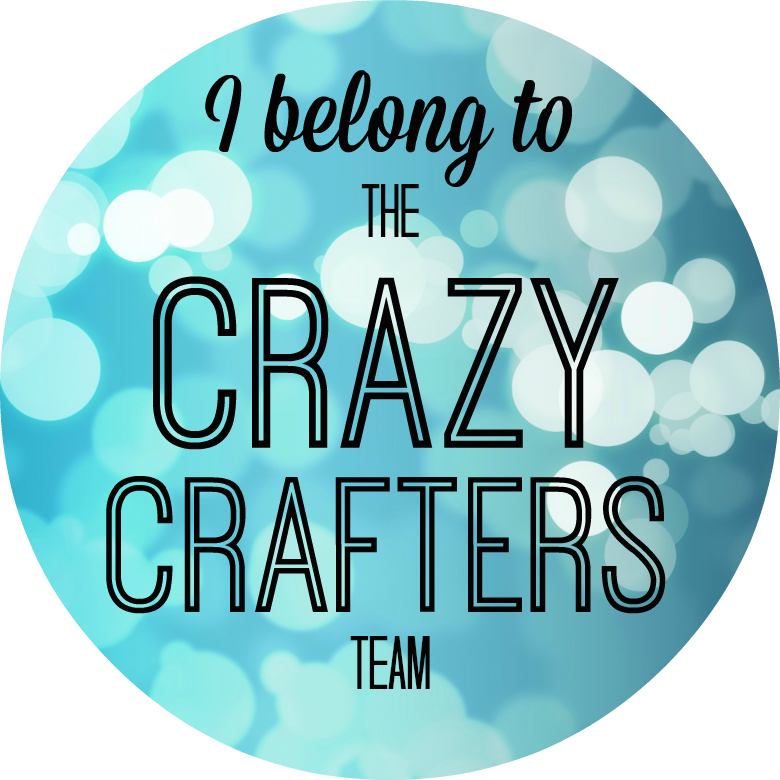 If you would like to be part of that group request to join here I will add you in to our Facebook Random Act of Kindness group so that you can send love to someone else who LOVES and appreciates your handmade projects. 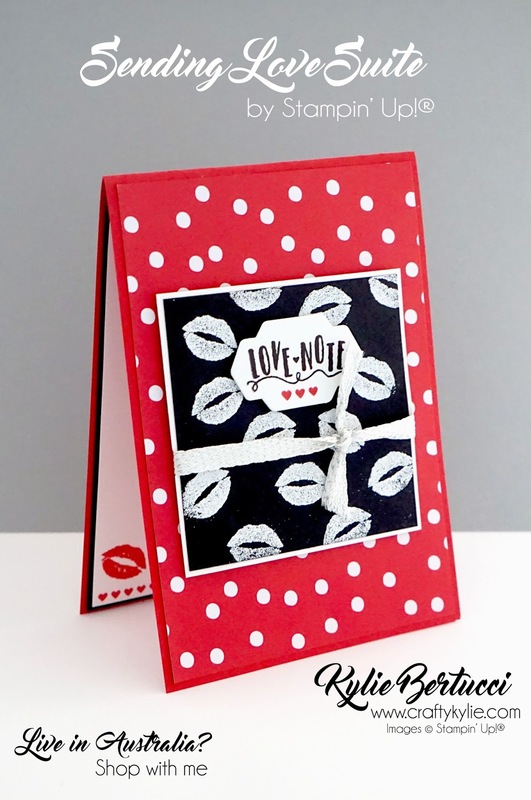 I LOVE the gorgeous Sending Love Designer Series Paper Stack. It has so many great patterns in the stack and comes in a pack of 48 sheets at a 6"x6" size. Wonderful for card making. I used the lips in the Sealed with Love on my card and it gave me the vibe of a 70s pop art picture. I added some ribbon - don't fall over! I haven't used ribbon in such a long time.. It is the gorgeous Metallic Ribbon that you get free during Sale-a-Bration with ever $90 order in Australia. Lastly the sentiment was from the same stamp set in the Sending Love Suite - Sealed with Love. I use the stylish stems framelits to cut out the sentiment. Thank you for coming by today! 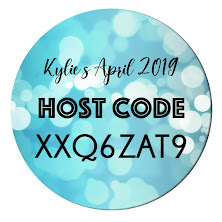 Please pin my card if you like the idea. I love others seeing it and being inspired. 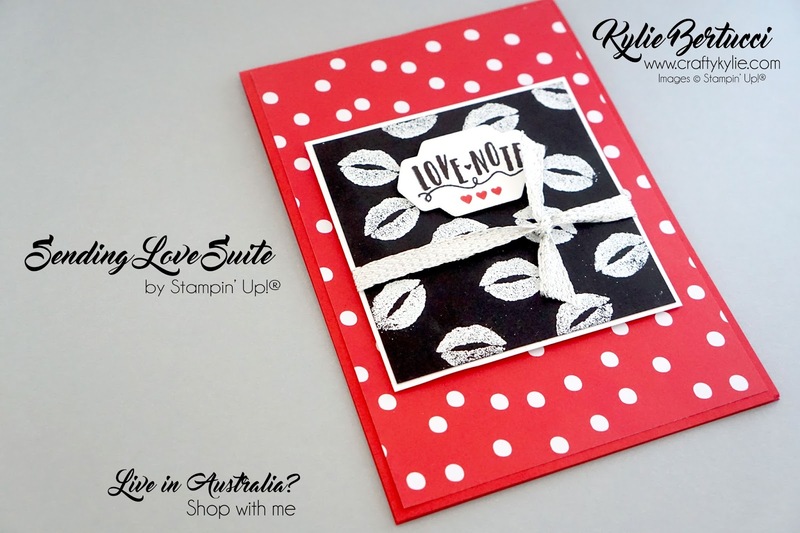 If you feel like going for a shop for Stampin' Up!® products and you live in Australia - I would love to help you. You can click here to go shopping 24/7 in my online store. You are in for such a treat as next up is the incredible Katy Harrison. Make sure that you don't miss one blog as these are SUPER STAR stampers.